As an entrepreneur or employee, as we all know, there will be difficult days, hard times and stressful periods. Although it’s not easy to spot the silver linings, but having a positive attitude, optimism and the right mindset can help us overcome difficult times and emerge victorious. Martin Seligman defines optimism as reacting to problems with a sense of confidence and high personal ability. Specifically, optimistic people believe that negative events are temporary, limited in scope (instead of pervading every aspect of a person’s life), and manageable. Of course, optimism, like other psychological states and characteristics, exists on a continuum. People can also change their levels of optimism depending on the situations they are in. Best-selling author, Rev. Chris Oyakhilome, D.Sc., D.D., President Believers’ LoveWorld Inc, (aka Christ Embassy) in his book The Power of Your Mind, says “who you are today is a function of your mind. Your personality is the expression of the contents and working of your mind. Why hold on to something that’s a connection to unhappiness? Did you know that negative thoughts could reconstruct your face and cause you to look older than you actually are? This is the reason some folks look ten years older than their age. Optimism is contagious. Having an upbeat attitude can inspire everyone around us. There is no better alternative to optimism. Pessimism doesn’t achieve much, and doesn’t have any benefits over optimism. Being optimistic obviously doesn’t mean seeing rainbows 24-7 or walking on the red-carpet. Everything won’t always be great. But optimism helps us see new opportunities, learn from different situations, and keep moving. In life, movement and growth is essential, which optimism helps us achieve. Thanks once again for your time and consideration as we look forward to speaking with you soon. So, wouldn’t you rather advertise with us? Click here to learn more about the Advertise Now and Pay Later service or talk to a member of the DU opensource team for personalized quotations designed strictly for low budget advertisers by calling +234-1-342 7023 or Click Here to drop a message. 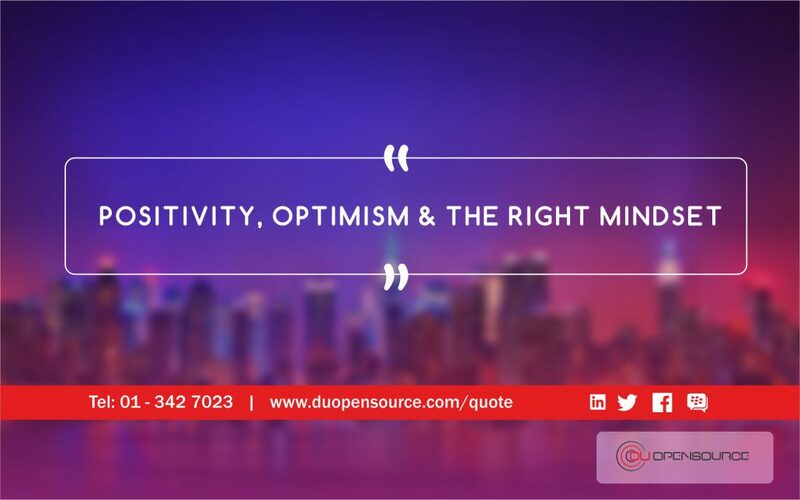 For other enquiries: Talk to a member of the DU opensource team by calling +234-1-342 7023 or click the button to drop a message.